When I used to work with DSLR cameras, the first thing that I changed with a new camera was the strap. I didn’t like the standard straps, because they were uncomfortable, screamed ‘steal me’ and didn’t look good. 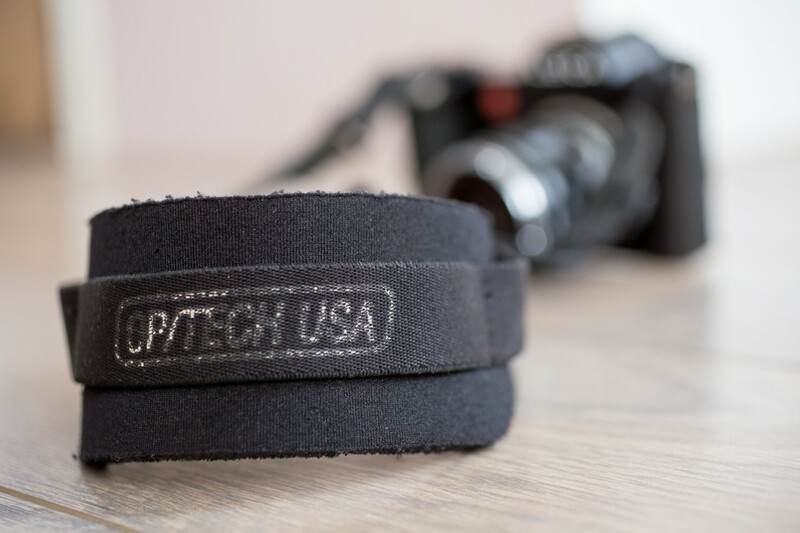 After a while I found that the neoprene straps from Optech were much better and now that I have the Leica SL, my Optech straps have found a second life. Battle worn, but still good for many years of service. The standard strap that is delivered with the Leica SL isn’t bad. But it isn’t very good either. It’s not really grippy on the shoulder and it doesn’t feel very good with a heavy lens on the camera. 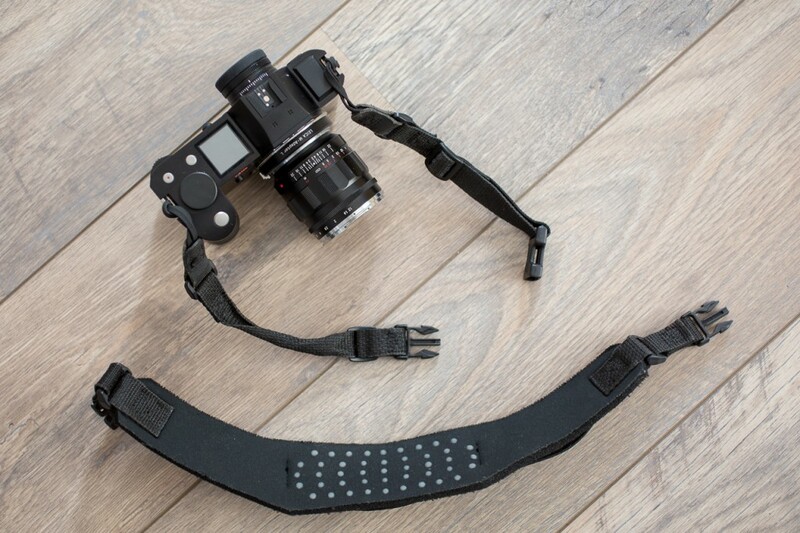 There are six reasons why the Optech Pro Strap might be the best strap for the Leica SL. It’s made of flexible neoprene, reinforced with an extra elastic strap. That means that it doesn’t put as much strain on the shoulder as the standard strap does. The camera ‘bounces’ a little as you walk, without really noticing that it does. The shoulder pad is very wide, which decreases the pressure per square centimeter dramatically. It is also equipped with very small rubber-like pieces, to increase the grip on your shoulder. The shoulder pad can be detached, simply by unclipping the buckles. This has two advantages: without the strap the camera fits a lot easier in a small bag. 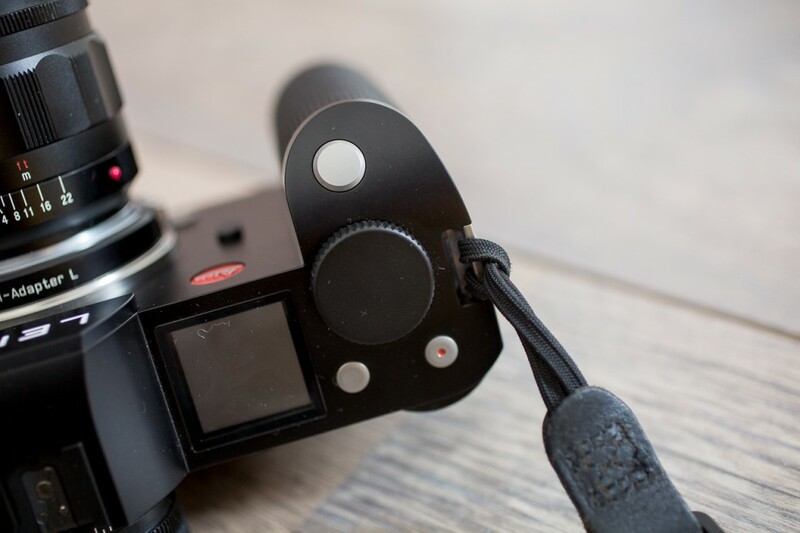 Secondly, if you’re using your Leica SL for video, a strap is very annoying when placing the camera on a shoulder rig, a slider, or a Glidecam. The parts that attach to your camera can be clipped together with the buckles and are so light, they don’t matter on a Glidecam regarding balance. 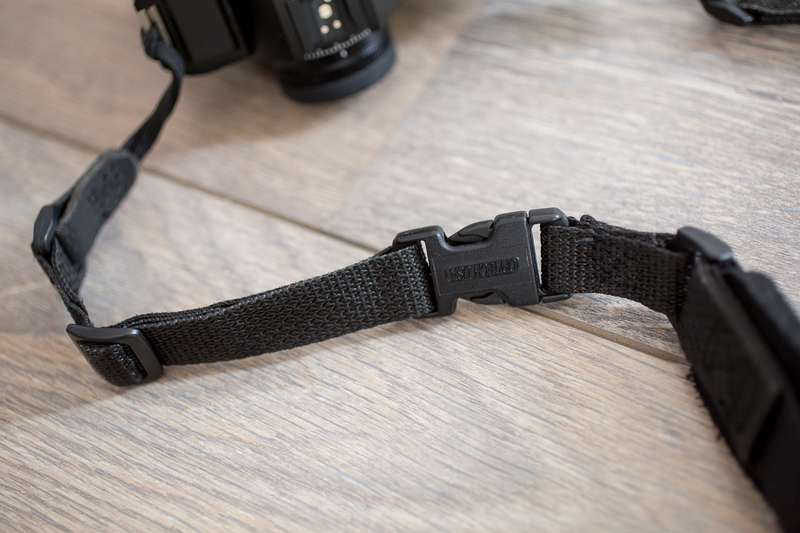 The Optech Pro Strap attaches to the camera with very simple loops. There are no metal parts that scratch your precious SL paint. 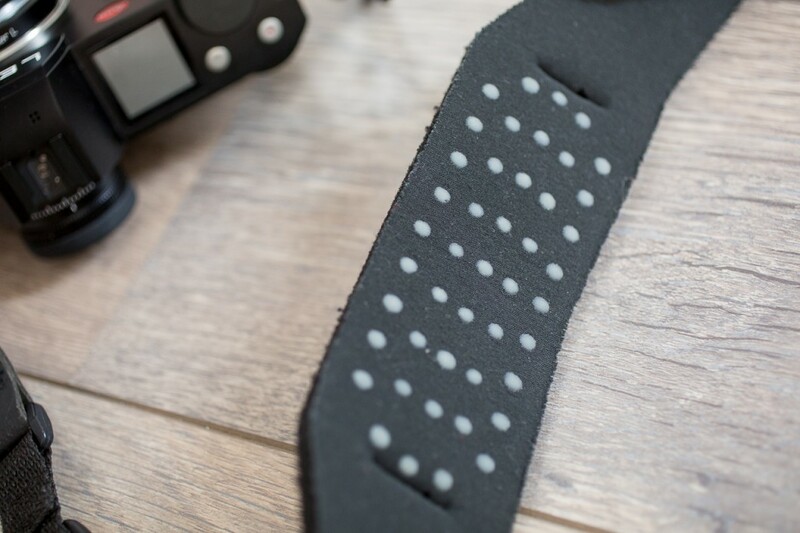 The Optech Pro Strap is very durable. I used mine at least ten years with DSLR cameras under heavy circumstances. You can see it has been used, but it’s still good to go for many years. It’s far more economical than most other straps. It doesn’t need any maintenance and it even looks kind of nice on the SL. The exact same strap that I have, can still be bought new, probably almost anywhere. Highly recommended! Keep it simple: nothing wrong with classic loops for attaching a camera strap. Small rubber-like balls provide extra grip. Simple buckles for attaching the shoulder pad. Now the Leica SL fits your tiny Billingham bag, but this is also brilliant for a video rig or Glidecam.